Dalton Associates offers a variety of clinical services for children, adolescents, and adults with Autism and other disabilities. We use empirically based treatments to teach individuals new skills while decreasing inappropriate behaviours. Our approach is family centred, ensuring that parents and others involved with the client are active participants within the treatment process. Dr. Julie KoudysPsychologist/Clinical Supervisor, C.Psych., BCBA-D.
Dr. Julie Koudys is a registered psychologist and Board Certified Behaviour Analyst. She completed her Ph. D. in Clinical Developmental Psychology at York University. She has worked with individuals with autism spectrum disorders (ASD), intellectual/developmental disabilities, communication and behavioural disorders, and learning disabilities for over 15 years. 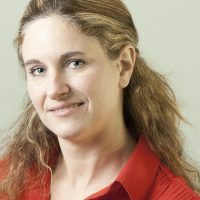 Her clinical experience includes work within government programs, such as intensive behavioural intervention (IBI), educational and residential services, children’s mental health, and hospital settings, including McMaster Children’s Hospital, the Children’s Hospital of Eastern Ontario and Bloorview Kids Rehab. As the former Clinical Director of Pyramid Educational Consultants, she provided consultation and training in broad spectrum Applied Behaviour Analysis (ABA) and functional communication across Canada, developing particular expertise in implementing and providing training related to the Picture Exchange Communication System (PECS). 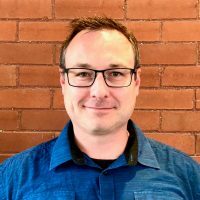 Dr. Koudys has also taught courses at the post-graduate and graduate levels in the Autism and Behaviour Science program at Algonquin College and the Master’s in Applied Disabilities Studies Program at Brock University. She has a particular interest in issues related to behavioural treatment fidelity, and has conducted research which identified the active ingredients in IBI, and research which explored the fidelity of implementation of augmentative/alternative communication systems. She co-authored the York System of Quality Assurance (YSQA), a comprehensive system designed to evaluate the quality of IBI services used within the regional programs in Ontario, as well as in international research. 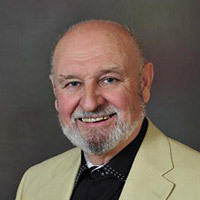 Currently, Dr. Koudys is a consulting psychologist with Dalton and Associates and provides clinical supervision for IBI/ABA programs in the Toronto, Central East, Central West, and Hamilton-Niagara regions. She also provides psychological and diagnostic assessments for children and adolescents. Nancy discovered her passion for the field of Applied Behavior Analysis (ABA) in 1998 when she first started working with children with autism. Since then, she’s had the privilege of working with hundreds of children with autism and their families across Ontario. She’s enjoyed supervising Intensive Behavioral Intervention (IBI) programs through various non-profit and private agencies, as well as training clinical staff on how to implement these programs. A Board Certified Behavior Analyst (BCBA), Nancy completed her Master of Arts in Psychology with a specialization in Behaviour Analysis at the University of Nevada, Reno. She has published research in the flagship Journal of Applied Behavior Analysis (JABA) and has presented at both provincial and international conferences. Dr. Dan DaltonPsychologist/Clinical Supervisor, C. Psych. Dr. Dalton has been providing services to children on the autism spectrum and their families for over 25 years and been a clinical supervisor of IBI and ABA programs for the past 10 years. Currently, Dr. Dalton provides clinical supervision for IBI/ABA programs within the Central East, Central West, and Hamilton-Niagara Regions. Dr. Kerry WellsPsychologist, PhD. C. Psych. Joan Broto is a Board Certified Behavior Analyst (BCBA-D). She earned her Ph.D. from Teachers College, Columbia University in Teaching as Applied Behavior Analysis and Special Education. Joan’s experience includes working with students with and without disabilities from early intervention to young adults. While completing her graduate studies, she taught middle school students with behaviour and emotional disabilities, 2nd grade regular education, and supervised early intervention and preschool classrooms for students diagnosed with ASD and developmental disabilities at the Fred S. Keller School in New York. Before her move to Ontario, Joan worked as a behaviour analyst in British Columbia designing and supervising comprehensive behaviour analytic programs, and served on the British Columbia Association for Behaviour Analysis board. Currently Joan provides clinical supervision for ABA programs and supervises graduate students who are pursuing certification in behaviour analysis. In addition, Joan teaches graduate courses at Western University and The Chicago School of Professional Psychology, and serves on the Board of Directors for the Ontario Association for Behaviour Analysis (ONTABA). 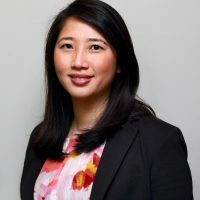 Ling is a Board Certified Behaviour Analyst who has implemented behavioural intervention programs for individuals diagnosed with autism, developmental disabilities, learning disabilities and other behavioural disorders since 2004. Ling completed her Master of Applied Disability Studies specializing in Applied Behaviour Analysis (ABA) from Brock University. Ling has supervised and consulted to ABA and IBI treatment programs within government funded and private practice settings with individuals ranging from infants at risk from 11 months old up until adulthood. Ling is an active faculty member at Seneca College. She regularly teaches courses for the Autism and Behavioural Sciences Ontario Graduate Certificate Program, is a member of the Seneca’s Program Advisory Committee and has served as a Subject Matter Expert on program and curriculum development. She is a member of the Ontario Association of Behaviour Analysis (ONTABA). She provides ongoing training, workshops and supervision for clinicians, teachers, parents and other professionals within schools, communities and global partnerships. Ling is extensively trained in the application of Skinner’s Analysis of Verbal Behaviour to teach language and communication. She has over 10 years of experience teaching sign language, PECS, and other electronic communication devices to non-verbal children and youth. Her knowledge and experience also extends to naturalistic and relationship based interventions such as Early Start Denver Model (ESDM) and Pivotal Response Treatment (PRT). 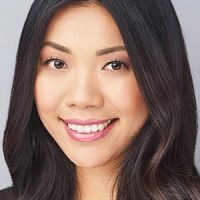 Currently, Ling is a Clinical Supervisor overseeing ABA and IBI treatment programs within Toronto and the greater area. She also supervises candidates pursuing board certification. Jessica Cauchi is a Board Certified Behaviour Analyst and Clinical Director of Atlas Behaviour Consultation. She received her Master of Science degree in Applied Behaviour Analysis from St. Cloud State University in Minneapolis. She has over 10 years of experience using Applied Behaviour Analysis to teach children with autism and other developmental disabilities. 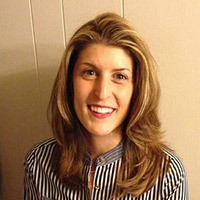 Jessica has worked with diverse populations of children with developmental disabilities and holds a strong interest in the use of ABA to teach children as is evidenced by her experience in research applying ABA methodologies to various teaching targets and populations. Jessica has experience providing supervision of staff, training and workshop presentation, and working with families and other professionals to provide high quality, evidence-based services. She is a member of the Ontario Association for Behaviour Analysis, as well ABA International and is familiar with current research as well as government and educational policies for children in Ontario. 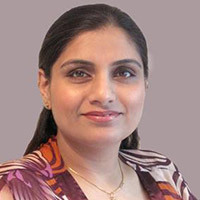 Kay Narula is a Board Certified Behaviour Analyst (BCBA) and Clinical Director of Hope Autism Services. She received her Master of Applied Disability Studies from Brock University in Ontario. She has over 10 years of experience using Applied Behaviour Analysis to teach children with autism and other developmental disabilities. Kay has experience working in both government funded and private practice setting. She also currently teaches in psychology and Autism programs at Seneca College. 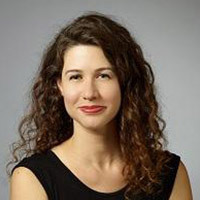 Amelia Bowler is an Assistant Clinical Supervisor and Board Certified Behaviour Analyst, providing Applied Behaviour Analysis services (ABA) to children with Autism and other disabilities since 2002. 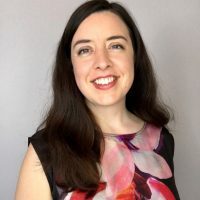 Amelia studied education at the University of Manitoba, and began her career in Applied Behaviour Analysis at St Amant in Winnipeg, Manitoba, where she worked under the supervision of Dr. Gary Martin and Dr. Dickie Yu. Amelia received a Master’s of Applied Disability Studies with a speciality in Applied Behaviour Analysis at Brock University. Since 1999, Tammy has worked with individuals with autism and developmental delays between 18 months and 25 years of age. 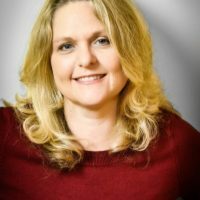 With extensive training, education and experience Tammy and her team at On Solid Ground Inc, offer direct clinical intervention – Intensive Behaviour Intervention (IBI), Applied behaviour Analysis (ABA), programming, teaching, training, and consultation and coaching to various Centre’s, schools, organizations, families and their support networks. She has obtained a Master of Arts in Psychology with a specialization in Applied Behaviour Analysis (ABA) from the University of Nevada, Reno and has been a Board Certified Behaviour Analyst (BCBA©) since 2007. Tammy is the founder and Director of On Solid Ground Inc, a private organization in Central East – Barrie / Simcoe region that provides both home and clinic based behaviour assessment, treatment and intervention to individuals with autism, developmental delays and behavioural challenges. Tammy is committed and passionate about helping children, parents, and individuals better understand learning and behaviour. She has developed and presented numerous ABA based training and education workshops to families, school boards, and organizations throughout Ontario. As faculty member at Seneca College, Tammy both instructed and assisted in the development of the Autism and Behaviour Science (ABS) Program. She is committed to ongoing education and development in the field with a special interest in supporting others to better assess, understand and deliver effective interventions for individuals with autism. Specialization and interest areas include treating food selectivity and refusal with children with autism as well as developing effective assessment and intervention plans for individuals who exhibiting complex and challenging behaviours. Tammy is a member of the Ontario Association for Behaviour Analysis (ONTABA), and the Association for Behavior Analysis International (ABAI). She is a participant with the Autism Advisory Committee through Seneca College and has been an active member with ONTABA’s Advisory Committee / Public and Community Relations and Professional Regulation Committee for the establishment of a college of behaviour analysts in Ontario. Olessia is a Senior Therapist, Founder, and Director of “I AM SMART S-COOL!”, which provides home and centre based ABA programming in the GTA. Her background is Education with a specialization in Elementary Education. 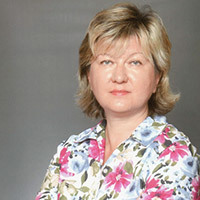 Upon receiving her Ph.D. in Education from one of the oldest Russian Educational Universities, Moscow Regional State University (established in 1931), Olessia spent 5 years working as a University professor in Russia and past 10 years working with children with special needs. Olessia is a member of the OACCPP and a Board Certified Behavior Analyst (BCBA). Carrie practices under the supervision of a Registered Psychologist or Registered Psychological Associate, who are members of the College of Psychologists of Ontario. She is an approved Senior Therapist for DFO funded programs in the Central West region. Carrie has a team of trained therapists who work alongside her to provide one-to-one direct therapy. Carrie completed her training at the Behavior Institute (2002) and worked as a regional centre-based Senior Behaviour Therapist before moving into the direct-funded Senior Therapist role she currently holds. Carrie is completing her coursework to become a Board Certified Behavior Analyst (BCBA). She has over fourteen years of experience providing ABA/IBI and behavioural services for children with special needs and their families. One of Carrie’s primary focuses is intensive behaviour intervention (IBI) for children with autism. Carrie is available to assist all children, and is especially skilled with children who have special learning needs such as Autism/PDD, ADD/ADHD, Learning Disabilities, Developmental Disabilities, and other communicative and mental health disorders. She serves families in the Waterloo Region. April practices under the supervision of a Registered Psychologist or Registered Psychological Associate, who are members of the College of Psychologists of Ontario. April is a member of the Ontario College of Teachers and ABA International. April has been working in the field of ABA for over 10 years. She has bachelor’s degrees in Psychology and Education. April is currently finishing up a master’s of art degree and her thesis uses the principles of applied behaviour analysis to teach children with Autism to use tablet based technologies. April also teaches part time at Durham College. April is currently taking courses in behaviour analysis through the Florida Institute of Technology and obtaining supervision hours from a Board Certified Behavior Analyst. She believes in professional development and has attended workshops on a variety of topics, including workshops delivered by Mark Sundberg and James Partington. She is fluent in the use of the ABLLS-R, VB-MAPP, and AFLS assessment tools. 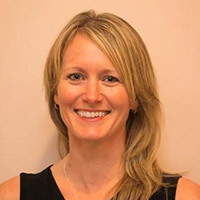 April is an approved DFO Senior Therapist in the Central West region through Erinoak, and is a Senior Therapist for DFO programs within the Toronto and Central East regions. Laura practices under the supervision of a Registered Psychologist or Registered Psychological Associate, who are members of the College of Psychologists of Ontario. 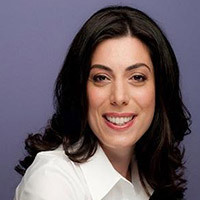 Laura has been working in the field of ABA for approximately 15 years. Laura currently owns One Care Children’s Services. Laura develops the programming for all her teams. She supervises and has a large team that includes well trained and educated, behaviour therapists, Senior Therapists and Clinicians. Laura has attended workshops on a variety of topics, including workshops delivered by Mark Sundberg and James Partington. She is fluent in the use of the ABLLS-R, VB-MAPP, and AFLS assessment tools. Laura is a Senior Therapist for DFO programs within the Toronto and Central East regions. Laura is available to supervise your child’s program through One Care Children’s Services. Corinna is a Board Certified Behavior Analyst who has worked with children and adolescents with Autism Spectrum Disorders and related exceptionalities since 2008. She has a Master’s Degree in Developmental Psychology from the University of Waterloo (2008). Corinna has worked in both home-based and centre-based settings for IBI and ABA programs and has provided support for children within their schools and daycares. Currently Corinna works in private practice (bitKIDS Behaviour Consulting), providing home-based programs. Corinna enjoys supporting families where they live and spend their time, creating customized plans to meet the needs and goals of families. She also facilitates online course discussions for Geneva Centre for Autism and supervises individuals pursuing board certification. Corinna provides home-based services in Kitchener, Waterloo, Cambridge, Guelph and surrounding areas. Catherine is a senior therapist and Co-Founder of Kalyana Support Systems, which houses a day school and a clinic providing centre and home based ABA services. Catherine has been a provider of applied behavioural analytic services for more than 20 years, concentrating her practice in the area of early intervention for children with autism. Catherine was introduced to applied behaviour analysis as an instructor therapist in home based intervention programs and has extensive experience with a broad range of clients, from early learners to young adults. Specialization and areas of interest include the use of behavioural interventions to address sleep and feeding problems in children with autism. 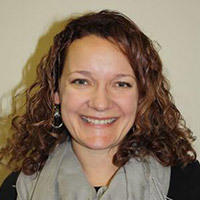 Catherine holds undergraduate degrees in psychology and social work from McMaster University and a Master’s of Education – Special Education/Applied Behaviour Analysis from the University of Western Ontario. Angeline is a Senior Therapist at Kalyana Support Systems. Angeline began her career in psychology research, where she discovered Direct Instruction (DI). After seeing success with DI in tutoring settings, Angeline opened The Gregory School in order to be able to offer a comprehensive education, founded on research-proven techniques and curricula, to students with special needs. Angeline received her Bachelor of Science degree from McMaster University in 1992 and her Bachelor of Education from Brock University in 1993. She is currently pursuing her Master’s of Science in Psychology/Applied Behaviour Analysis with Capella University. At the Gregory School, Angeline supervises client programming, staff training, and treatment implementation. She also directly implements the school’s music program, which is based on techniques that use musical activity to address a myriad of social, motor and cognitive goals. A comprehensive psychological assessment for Autism Spectrum Disorder provides in-depth and detailed information regarding your child or youth, based on data from formal psychometric testing and information provided by parents and other professionals involved with your child. The written report provides detailed and practical suggestions on how to build upon your child/youth’s areas of strength and how to work on any areas of need.